Spot the difference: on the outside, the Canon EOS 6D Mark II looks a lot like its predecessor, but it’s a considerably more powerful camera. 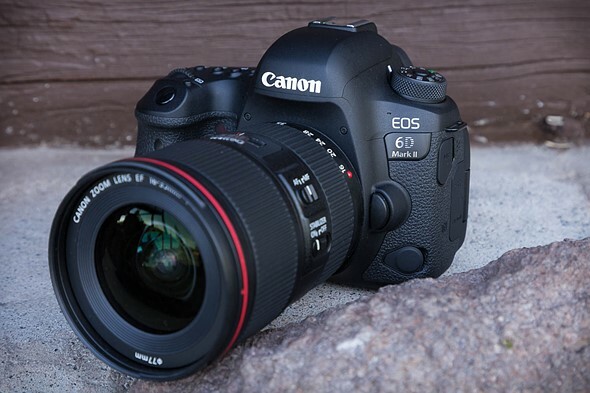 The Canon EOS 6D is something of an oddity in digital camera terms, having been in continuous production for almost five years. But finally, the time has come for an update to one of Canon’s most popular models, and it has arrived in the shape of the EOS 6D Mark II. Unusually for a new Canon product, we had the chance earlier this month to use a late pre-production EOS 6D Mark II ahead of its official announcement. What follows is a first take on how the camera performs, based on a two-day shooting excursion, organized by Canon, to the Yellowstone National Park in Wyoming.